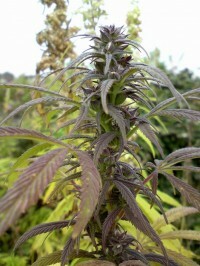 Sacred Seeds bred original Haze in the late 1970s from a combination of several sativas, including a Mexican/Columbian, some Thai and South Indians. Despite its long flowering and below average yield, this strain is acclaimed worldwide to have a taste and high superior to all other existing Cannabis strains. The flavour is typically sweet and sour and the high mildly psychedelic and uplifting. Hybrids between Original Haze and your favourite strain will often yield offspring that are higher in THC then either parent. 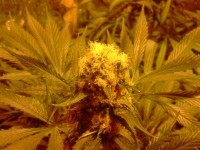 This strain is for would-be breeders and connoisseurs.